Thanks for votyung earlier last month for my make for The Monthly Stitch. It’s complete and my post is also over on their blog. 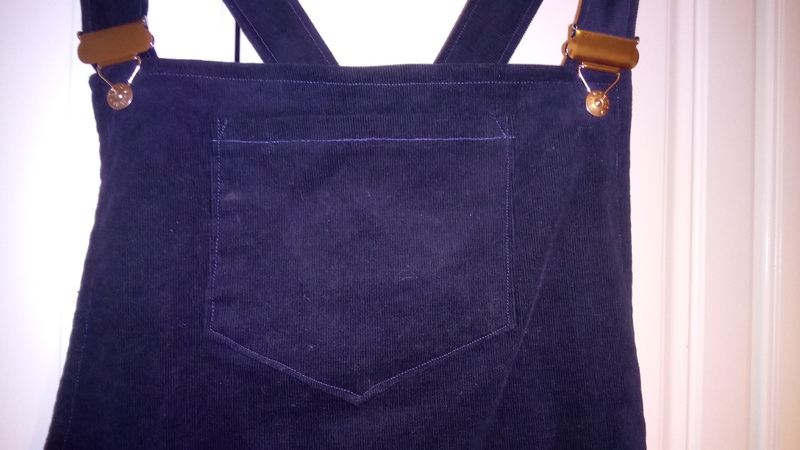 I approached the Joni with some trepidation as it has a twist at the front, which looks quite complex… I love makes like this though, when you feel like sewing magic has happened! The instructions made it seem super easy and it came together really well. 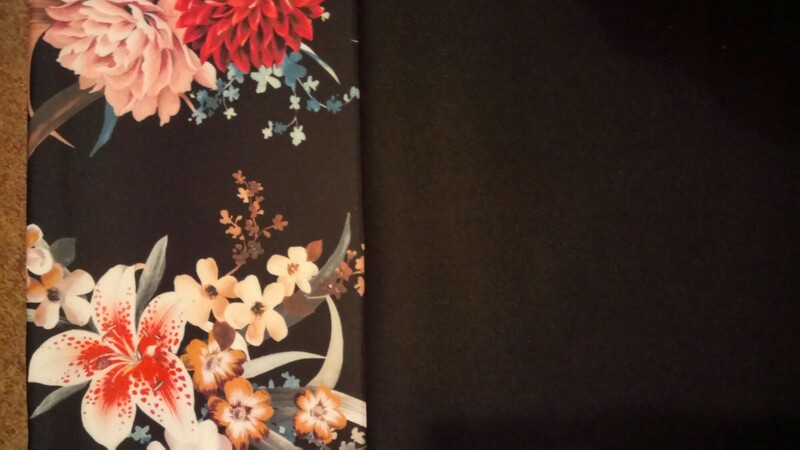 You attach the pieces at the shoulder, then turn one of the pieces fully and then sew up the front. It truly is sewing magic. I haven’t got masses of experience working with Jersey but I found this worked out really well. I find it sits higher than the picture as suggest but looking at others, I think this is about right even though I usually have to FBA. 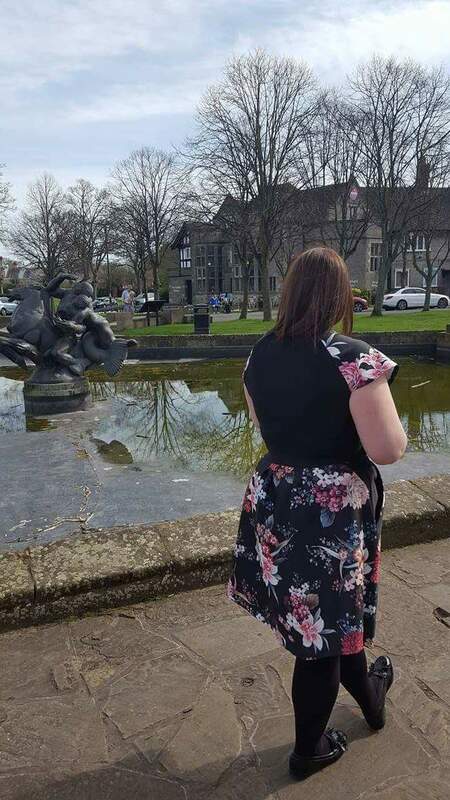 The fit of the skirt is quite flared and because the bodice finishes quite high, it makes for a really flattering fit and everyone I’ve seen in it looks great! I’m really pleased with mine. This is a really satisfying pattern, which has something a bit different but still comes together really quickly. 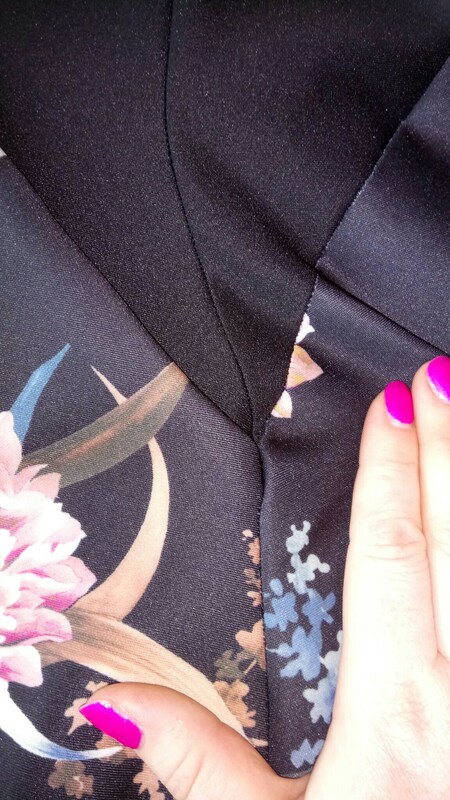 I love attaching sleeves on the flat! 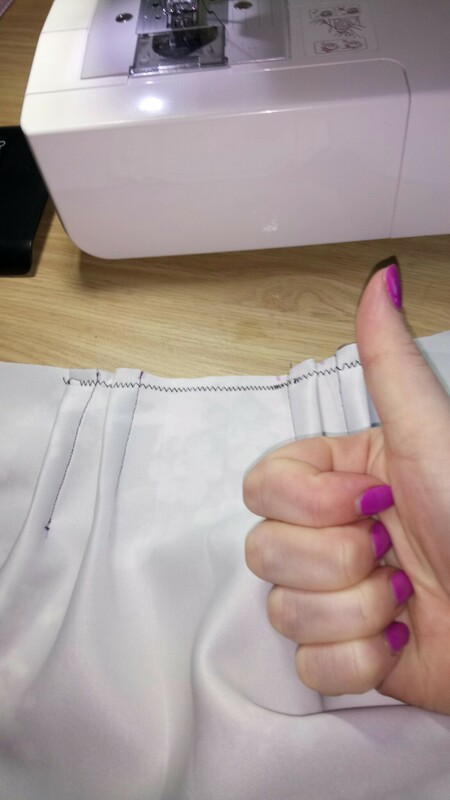 Best, quickest sewing ever! 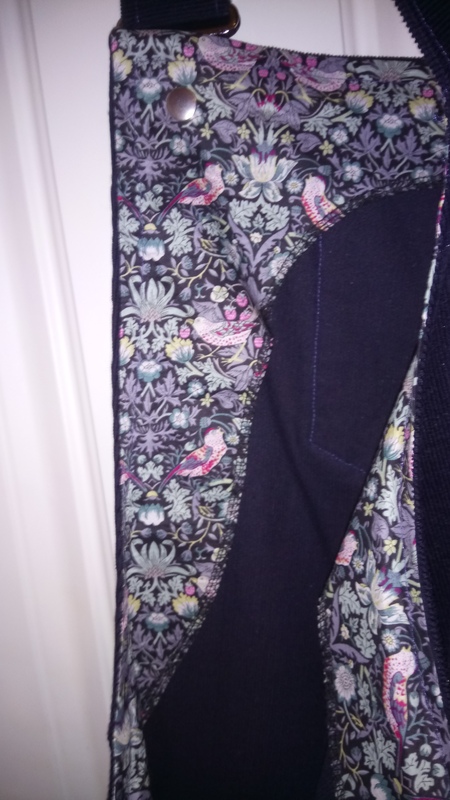 You will notice that I didn’t ask voters to chose the fabric for this one and that’s because I just had to use this amazing Parrot Jersey from Sew Me Sunshine for it and I’m so glad I did. It’s so different and bright and I absolutely love it! 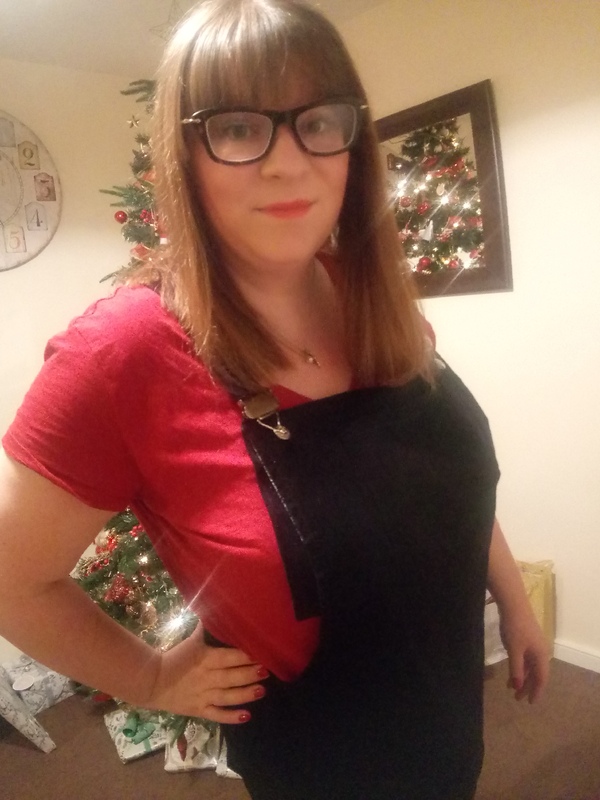 I wore it for a family meal and felt really bright and cheerful in it. I’m massively late on the bandwagon with this one… But I’ve made a Cleo! The pattern, by Tilly and the Buttons, (incase you didn’t know) has been made by pretty much everyone, in every shape, size and hack going but I was convinced it wasn’t for me. I didn’t think the shape would suit me. Cleo pattern: 25% off in the sale: £7.13. Total: £19.20 – a bargain when many of the bundles come in at £40! 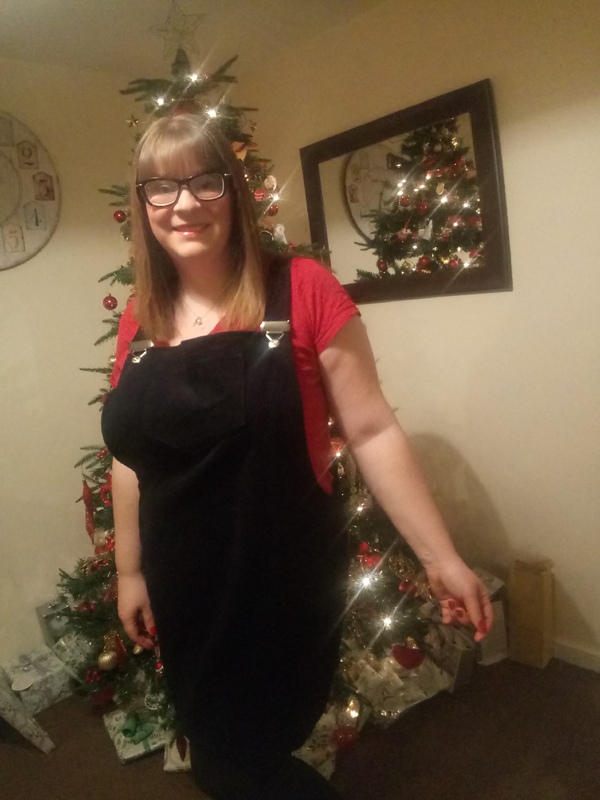 This Needlecord is from Sewmesunshine.co.uk, she always has great offers on Instagram, with themed weekend specials too. Harriet who runs it is full on amazing!! Even though they have a pink Needlecord too, it had to be the navy, I knew I would get more wear out of it. An unusually sensible decision for me! I got my Prym clips from her too. Anyway, I wanted something a little bright so I dug out a small piece of Liberty Strawberry Thief that I had ready for the facings and got started. I bought a metre of the Needlecord and you get the pattern out of a metre easily, which I love! I buy my interfacing by the metre and the odd shape facings really seem to eat in to it, not life changing but something I’ve noticed! Everyone says it’s easy to do and it really is. As with all Tilly Patterns, even though I’ve had sizing issues with some, they’re so easy to follow and come up good everything. 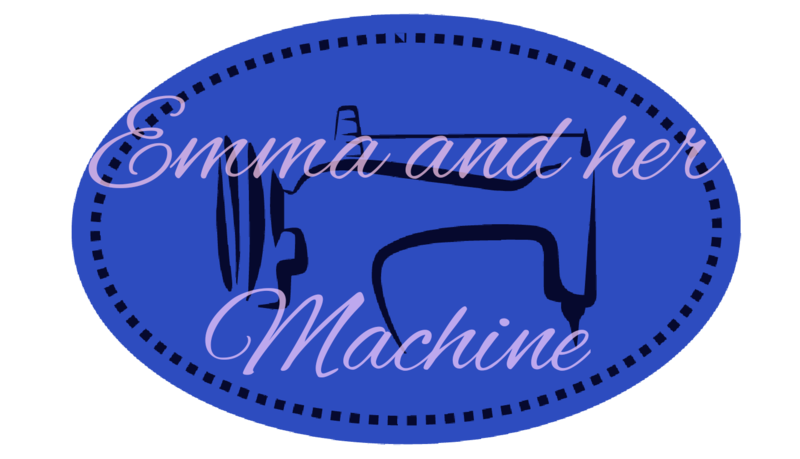 There isn’t many seams or many hems, you don’t have to insert anything and the facings are easy to use. I think when I make another one, I could have it done on an hour. I can totally see why people have several. I can see it being a win for some of the thicker upholstery type fabrics I have. 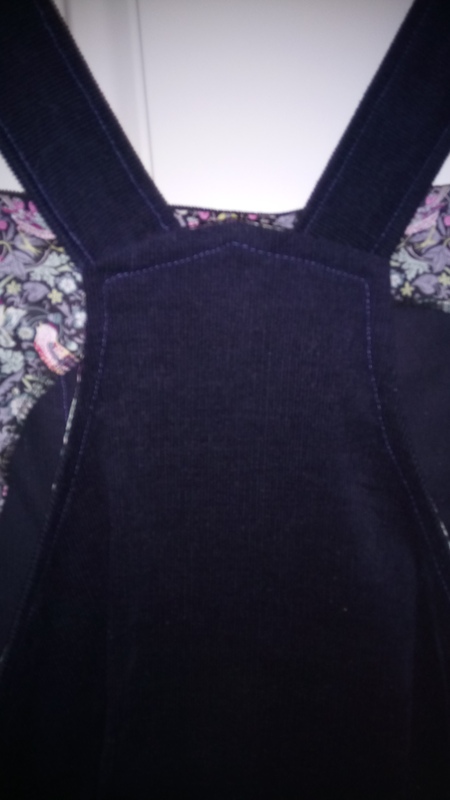 I’m so glad I have my overlocker too because it makes the insides look so neat! 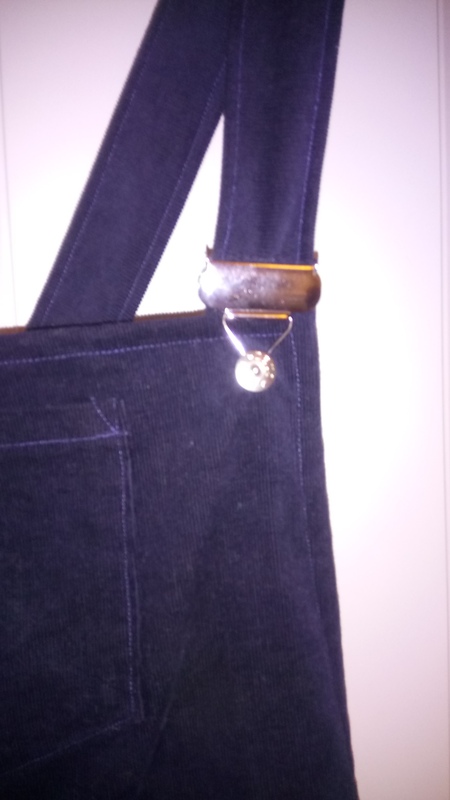 I thought I might use buttons for the straps but I’m glad I went with the clips, as they look really professional. I’m so glad I changed my mind and went with all the lovely ladies who have made this! 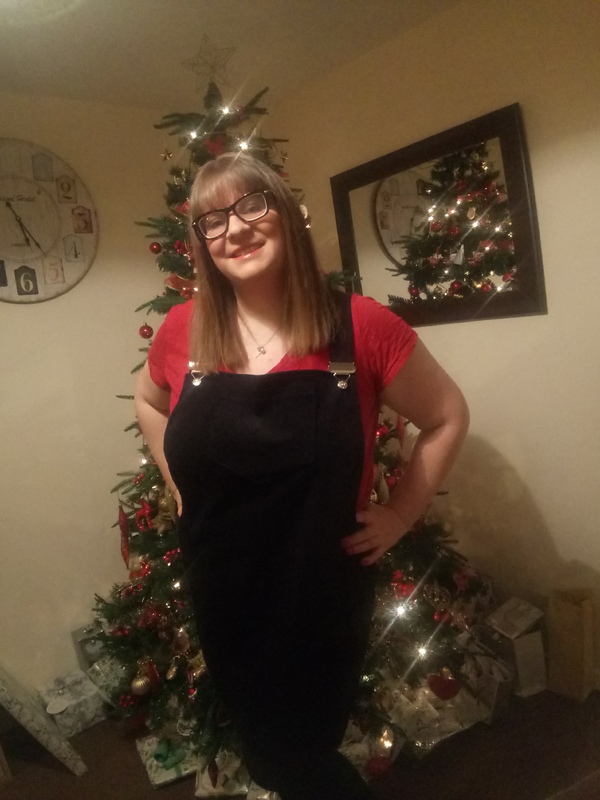 I think it’s such a reliable wardrobe staple and I’m actually surprised to find it’s not horrendous on my shape like I thought it would be. What do you think? I’m thinking a green cord one next with another splash of colour in the facing! 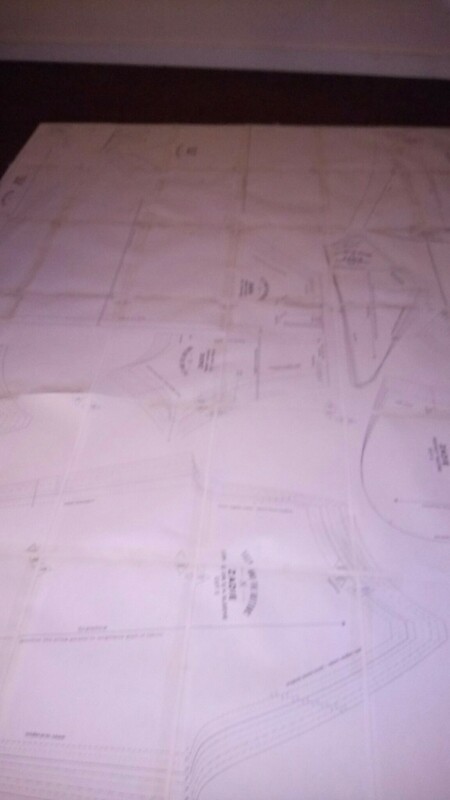 I love sewing plans!! Here it is! I’m so excited to finally be sharing my Zadie Dress with you! 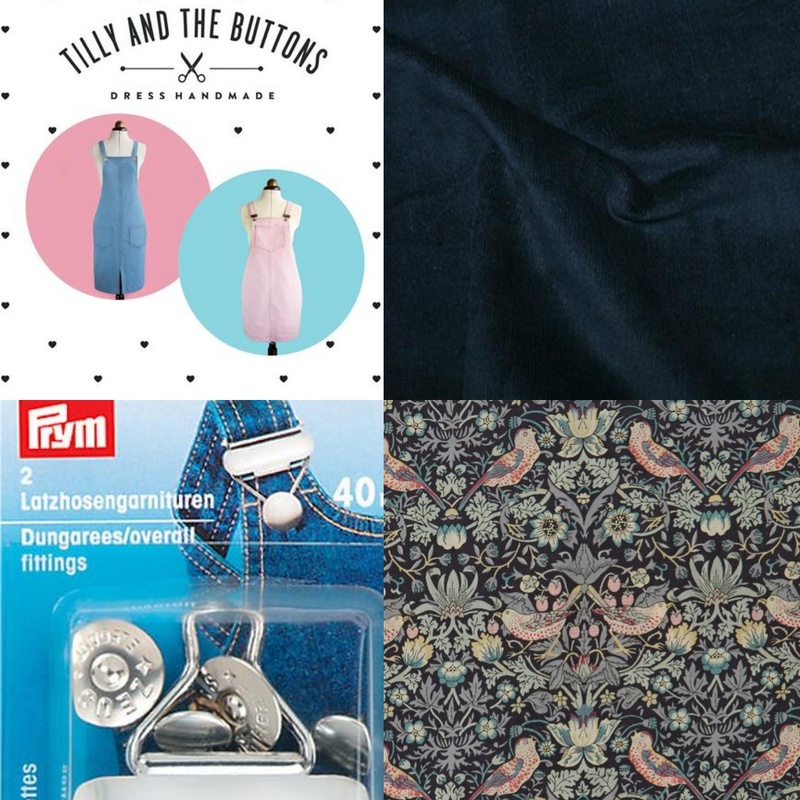 When Fabric Styles said they wanted to work with me, the latest from Tilly and the Buttons was the first on my list of suggestions because it’s perfect for trying different fabrics and swapping and changing them. 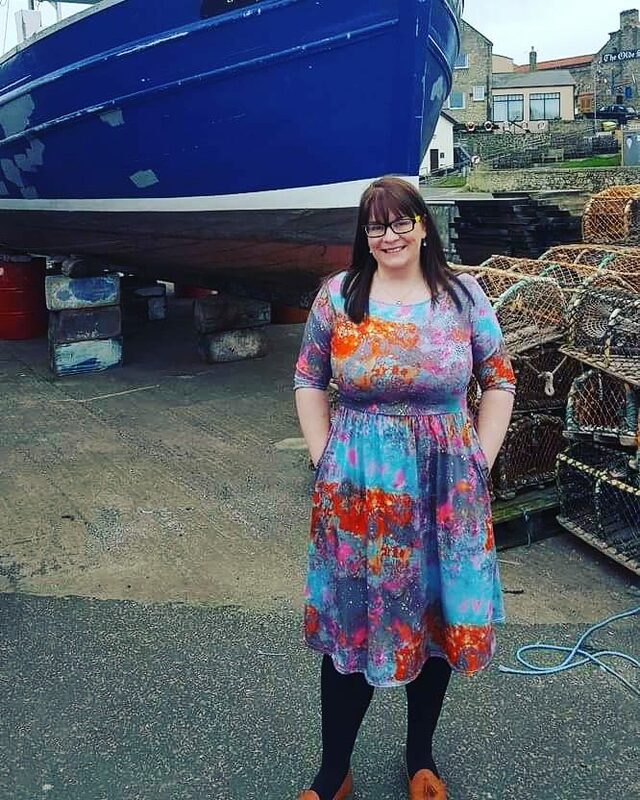 Fabric Styles do some amazing prints; I used their Galaxy Print for my Moneta and I absolutely love it. There’s so many colours and the fabric was a dream to work with so I jumped at the chance of using more of their fabrics. 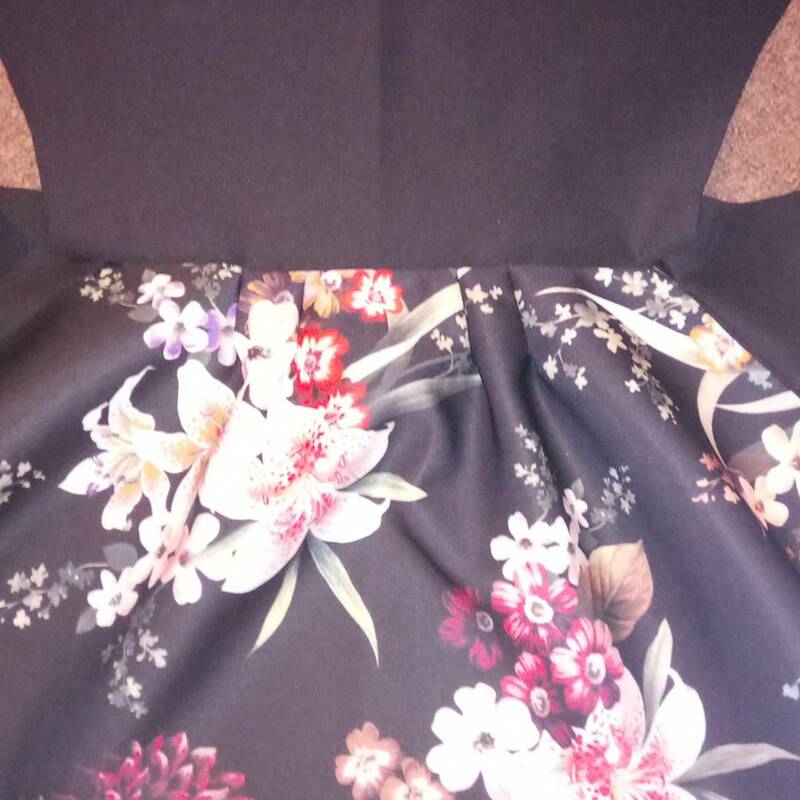 I chose this gorgeous black floral scuba with a plain black to make the contrast panels, I’ve never worked with scuba before and I wanted to try it as there’s so many vibrant colours and I like a challenge! The Zadie calls for jersey or Ponte fabrics but I figured scuba would work too. Thank God I was right! I’ve done a YouTube post on the Fabric Style’s channel about working with the fabric and how I found it. So check it out if you’re a scuba newbie like me (or even of you’re not!) Here’s a snippet of me chirruping away! In the interest of not being repetitive, I’ve written more about the actual construction here! 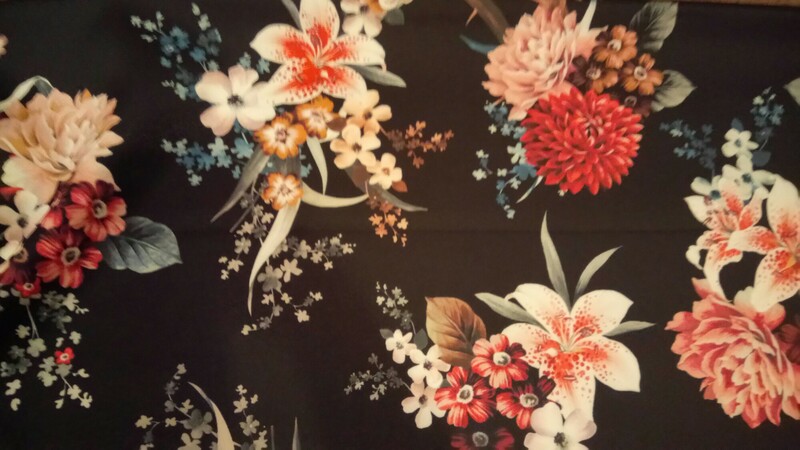 I had a metre and a half of the floral fabric and a metre of the black which is what the pattern calls for and it fit perfectly. Though if you wanted to try the long sleeves, they’re quite big pieces so you would probably need another metre. There are some odd shapes going on in this pattern. If I was a real newbie I think it would have really confused me… It takes a bit of thinking about to make sure you’re cutting the right fabrics for the contrast you want. The PDF is a bit of a challenge too! I followed the Sewalong on the website. It is really comprehensive and I fully recommend using it if you make one. It makes it so so much easier! I tried to take my time. Even though it looks quite complex, it’s actually quite easy and a joy to sew because it’s so different. It comes together relatively quickly too, which suprised me. I think it’s because the fabric doesn’t fray. It was all coming along nicely until the neckline. The pattern says it has 10% ease and that you have to stretch it. I would argue that you probably need to make it a bit longer because I REALLY needed to stretch it to make it fit, which worked for Scuba but might look puckered in jerseys. You can see how much of a gap there was in matching up. I did mange to match it up though, using a lot of determination. It does make quite a nice neckline. 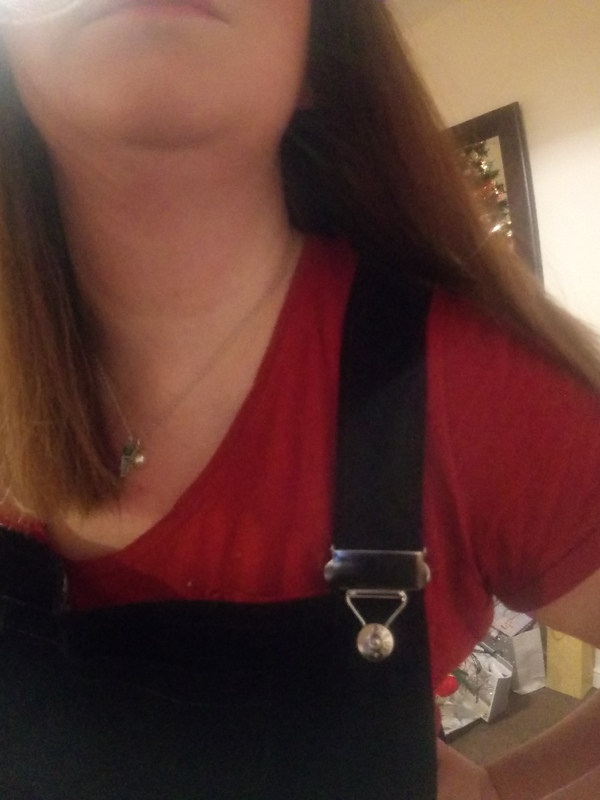 Sadly, because I had to stretch it so much, the join of the neckline band moved and it’s now at the front of my dress, which is not ideal but I couldn’t unpick it all. I don’t think it would’ve taken the stretching again! If I was to make it again, I would probably make the neckband a little thinner too but that’s just personal preference. Another first for me was the raglan sleeves but they came together super easy too. If you know me, you’ll know I like a sleeve so the cap ones are a little short for my but I would have needed much more fabric for the long ones. Definitely next time! Speaking of next time, I think next time I need to cut it much smaller. 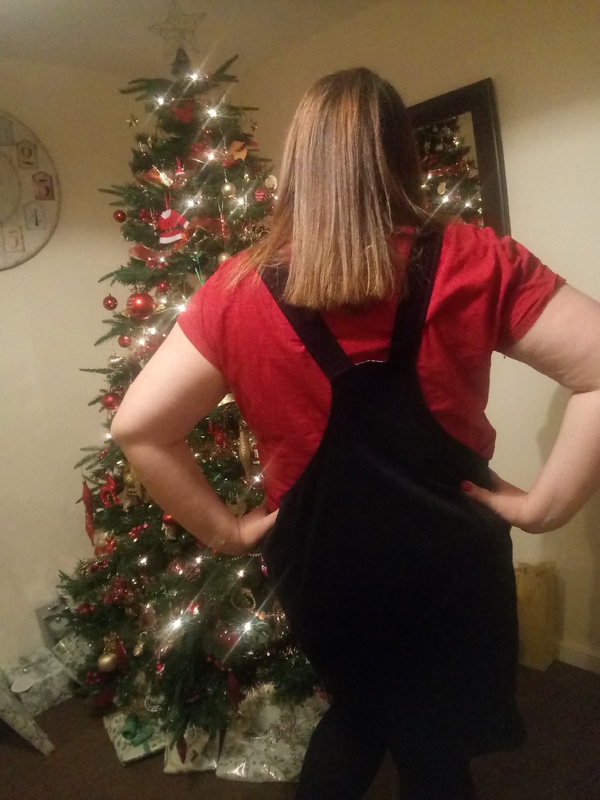 I used my measurements and cut the size 8 (18/20) but it was massive. 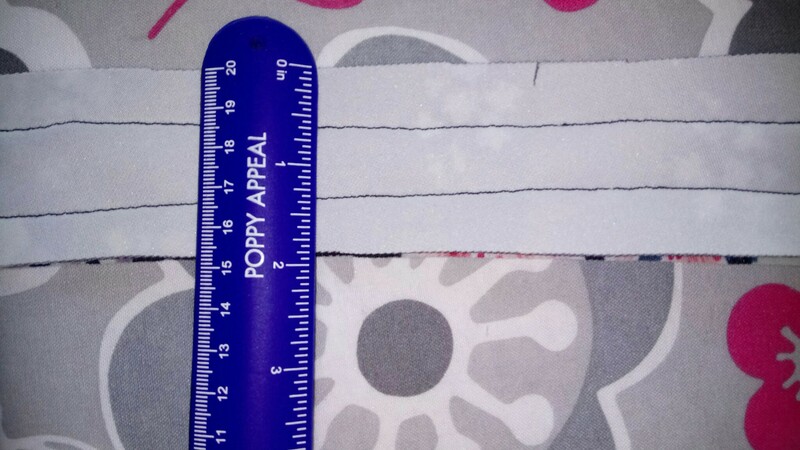 I had to take it in by 2 inches on both sides, which ruined the nice joins on the skirt pieces, which the tutorial says is the most tricky bit. Here’s how it looks before I had to alter it. It did once all line up, honest! I was rather proud of myself but then I had to take it in, the size is so far out. If it was jersey I might have thought it has stretched but there isn’t enough stretch on the scuba to justify how big it was. I haven’t heard of anyone else having problems with it and I’m really not sure how it could be so off the mark. This is what I took off the sides . I then curved it in to my waist a little more too. 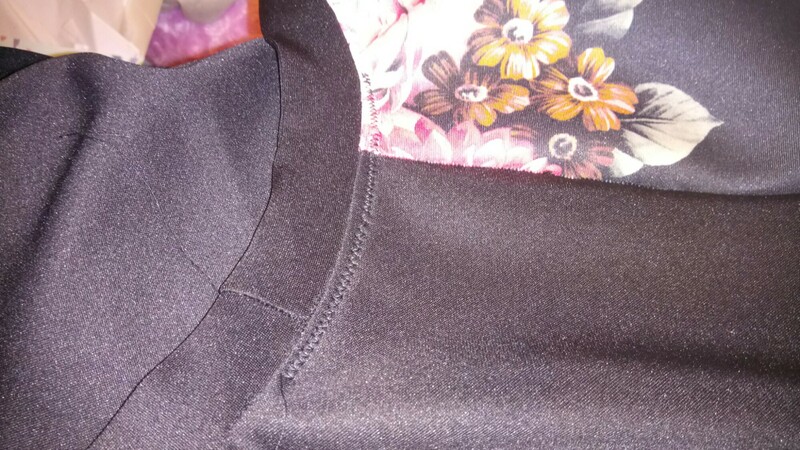 I also had to take it in along the raglan sleeves at the back to take then neckline in. I still feel that it’s a little big but. I didn’t want to take it in too much in case the scuba got to clingy. The hem was also hugely long so I took about 4 inches off this; without this I would’ve looked very frumpy. 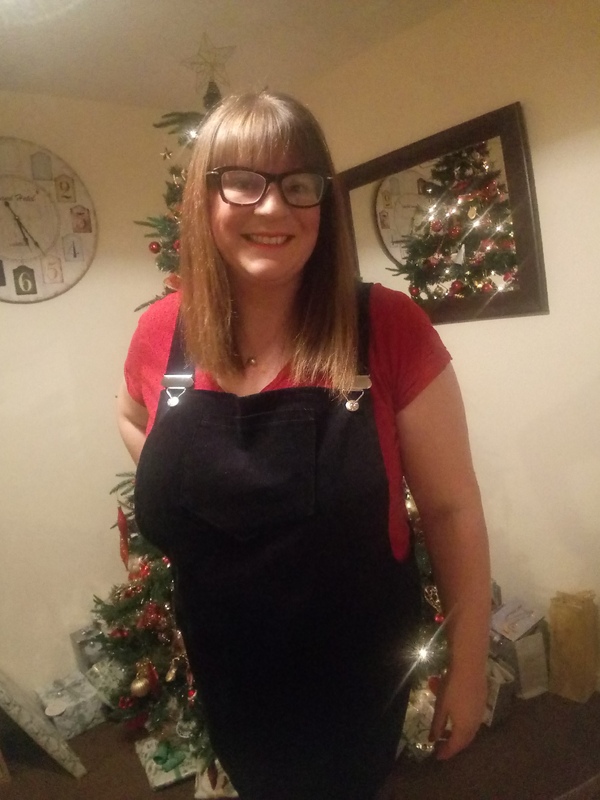 So after many changes… here she is. 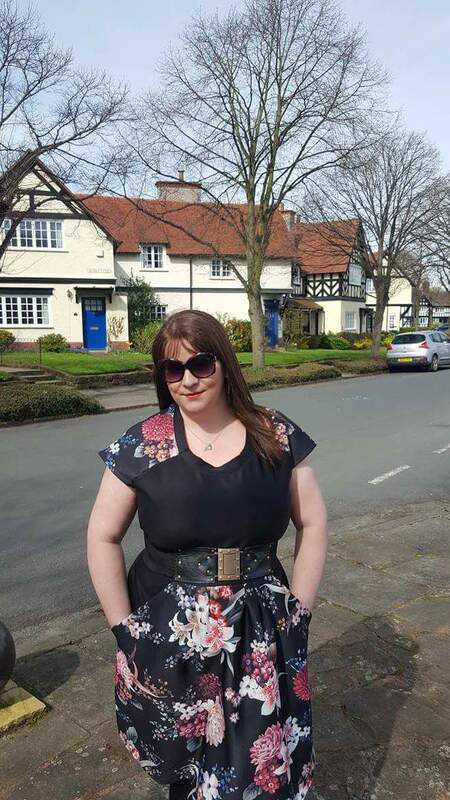 I wore this to Port Sunlight with my lovely hubby. If you don’t know it, it’s a lovely picturesque village, which was a purpose built village, which aimed to give workers of the Lever Brother’s factory quality houses to live it. It’s so beautiful. We went in the Lady Lever Art Gallery too. I’m not sure I would rush to make this one again, it isn’t as flattering as I expected. Though she did grow on me throughout the day as I wore it, what do you think? The scuba I would definitely use again though, I’m thinking of this nice green floral for a skirt for spring. If you want to hear more about the fabric check out YouTube here.